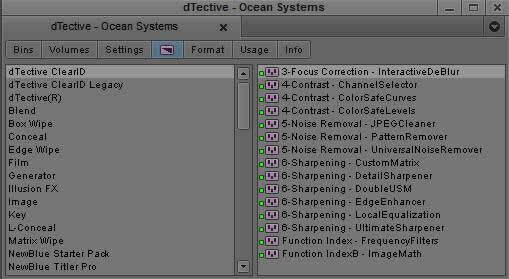 Where does dTective and Avid Media Composer fit in Forensic Multimedia Evidence Workflow ? Working in a full featured digital non-linear video editor was the standard for processing video evidence when the field of Forensic Video Analysis first got established, and there is still a place for one in your workflow as Avid Media Composer has continued to evolve to handle the many formats of digital video that are out there. 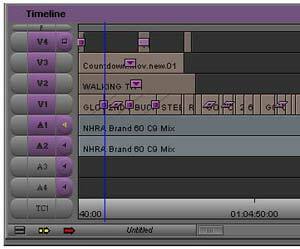 With a non-linear video editor, you get a multi-track timeline to help you visualize and properly align your evidence for further processing and presentation using Avid Media Composer and the dTective suite for clarification, analysis, redaction, and presentation of your multi-media evidence. archive-R for archiving and cleaning up your Avid storage, and tools like dPlex Pro for cold cases where you have multiplexed video that needs demultiplexed to seperate the cameras so you can video the footage. Now with dTective and Media Composer, you have the full set of Media Composer video editing tools, a video editing time line, and the previous dTective plug-ins for redaction, real-time frame averaging, and presentation of your evidence along with ClearID Image Clarification but for video. SpotLight - For redaction by blurring faces as the moves through videos. dVeloper - For real-time frame averaging by Region on Interest. Just scroll to the location in the video you want to frame average, lasso the region and that area will instantly be frame averaged. arithMATIC - For analysis. Using Subtraction, you can see the pixel difference before and after an event. Ideal for shop lifting reviews. dPlex/dPlex Pro - for demultiplexing video. Two ways to dPlex video when its been multiplexed. You can even deal with pan-tilt-zoon footage. Great for cold cases. archive-R - A stand along application for archiving digital media files into one hashed file. Compatible with Avid Media Composer Projects. Watch our Technology Review Webinar where Larry Compton, Ocean Systems Digital Media Expert and Trainer for walks you through Avid Media Composer and dTective.